Are you in search of free printable thank you cards to color? These two black and white options are perfect! Show your gratitude and thanks to someone by coloring in the whimsical thank you postcard or the full page thank you “poster”. Download them for FREE at the bottom of the post. It is so important to teach your children to be grateful for all that they have and receive. When children take the time to write and send thank you notes it is an especially meaningful gesture in today’s overindulgent society. Do your kids get gifts and never send thank you cards? We try and stay on top of it but it can be difficult. Birthdays run into other holidays and before you know it you are behind. 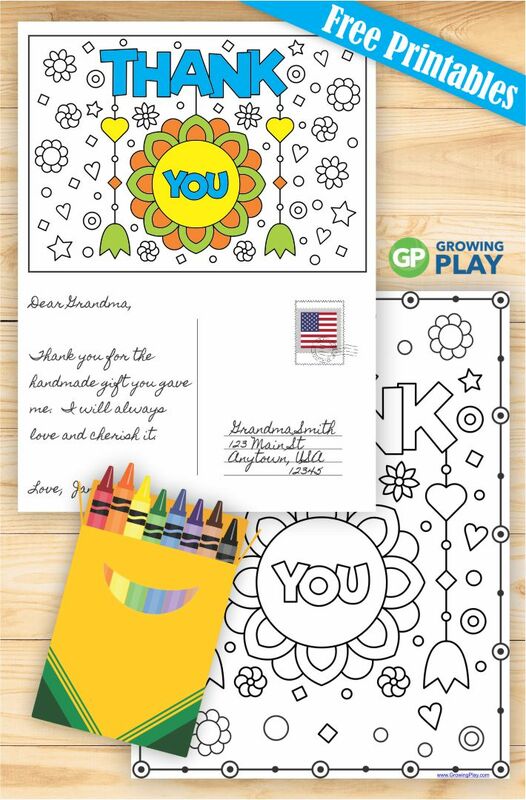 Stay on top of it all, by printing out these free printable thank you cards to color. Keep them on hand in a folder with crayons close by. I love the postcard option. Print in on card stock, color, fold and write your note. Everyone LOVES getting a postcard. How about a wall of thanks at your school? Each child can color the full page thank you poster and hang it up. 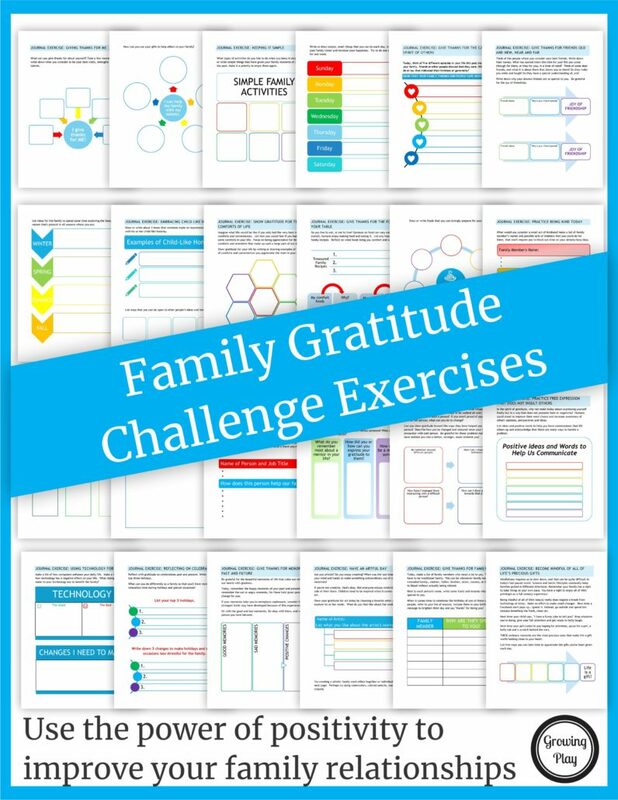 It is perfect for giving thanks anytime of year. It would look great with some pictures of local people who are in the military to support our troops. Sign up to receive the weekly email newsletter and announcements from Growing Play. You will be redirected to download your FREE printable thank you cards to color. Don’t forget to print extra copies so you are all ready to go the next time the kids (or you) receive a gift. Looking for more coloring pages like this FREE printable thank you cards to color? 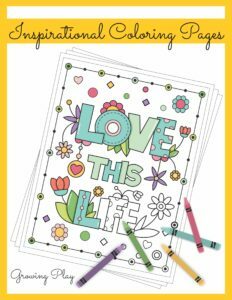 The Inspirational Coloring Book from Growing Play digital download includes 25 simple coloring pages with inspirational messages. All the pages are in black and white. Artwork for the Thank You coloring page by blackberry-jelly under a Shutterstock license. Family Bonding – 3 Simple Ways to Improve Your Family Bond Do You Truly Give Thanks at Thanksgiving?